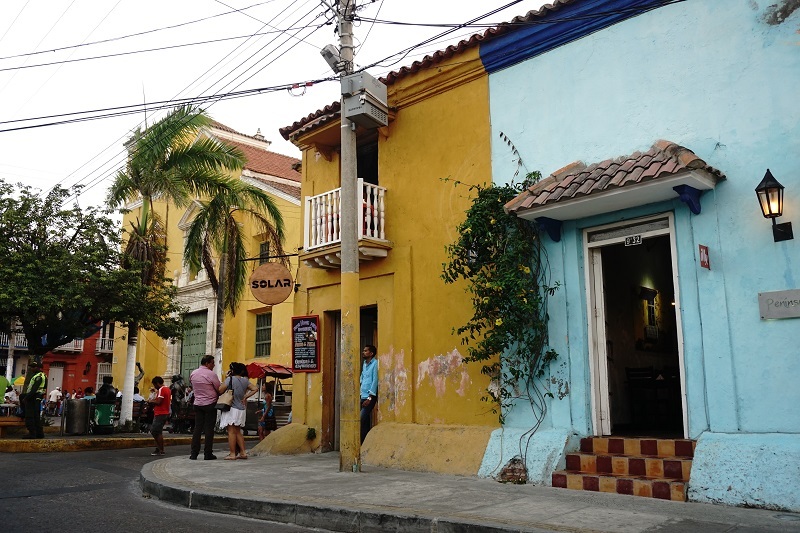 After spending a week in Taganga, we did a whirlwind tour of Cartagena. 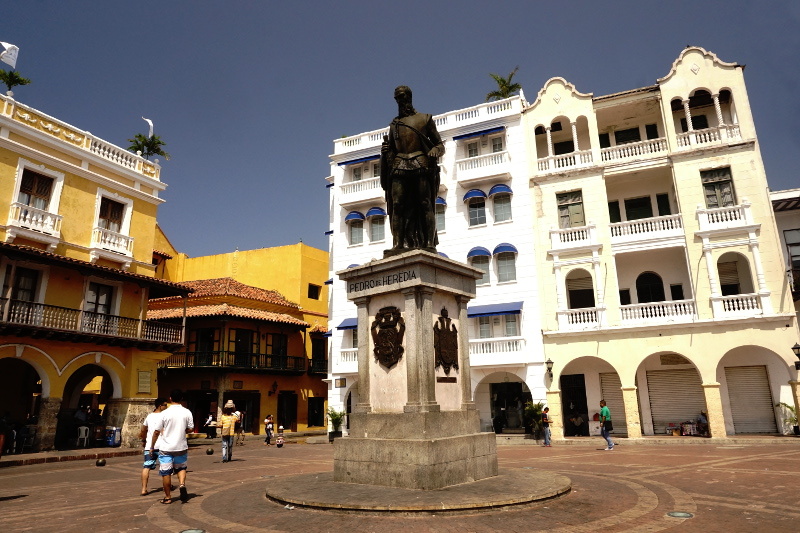 It is one of the biggest tourist cities in Colombia and we got to know what makes Cartagena so popular. 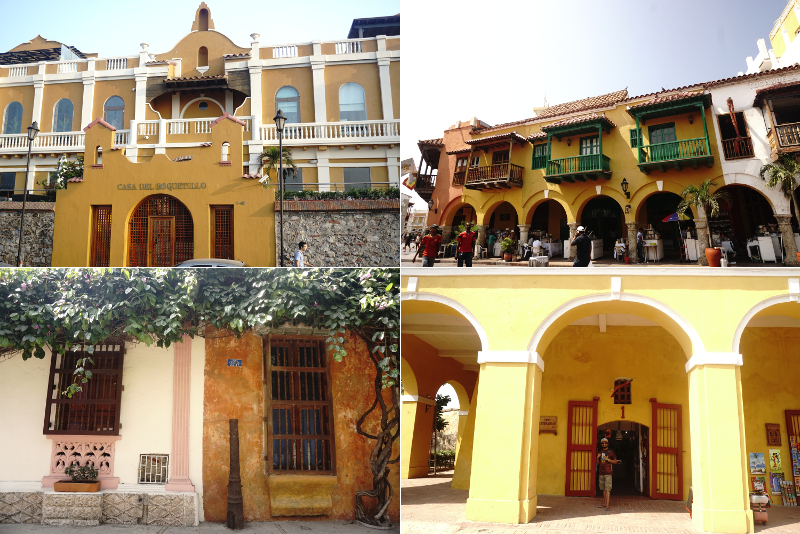 Here is how we spent 2 days in Cartagena. 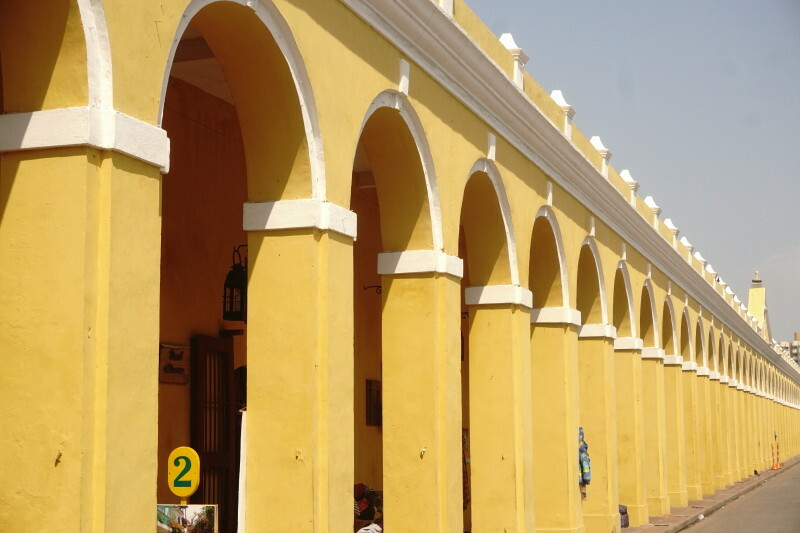 Cartagena has international flights from many places in the US. As we were in Taganga, we took a bus from Santa Marta which costed us 56,000 pesos (under USD 20) per head. Cartagena was one of the first Spanish cities in Colombia. It was setup as a port connecting Europe to South America in the middle ages. 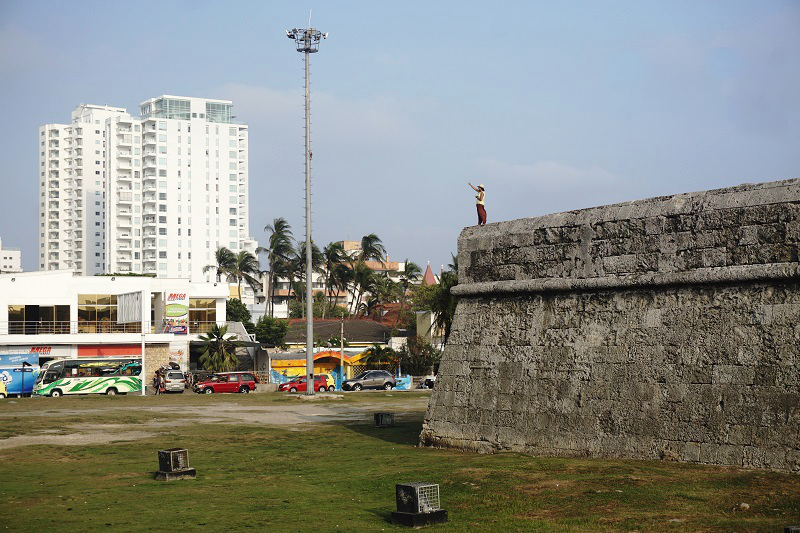 The Spanish constructed a wall around the city as a defense from any naval or pirates attack. 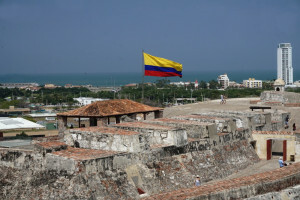 Through Cartagena Spanish managed to conquer and control Colombia. The most interesting thing though is that the walled city built mostly in the 16th and 17th centuries still stands firm in the current times. 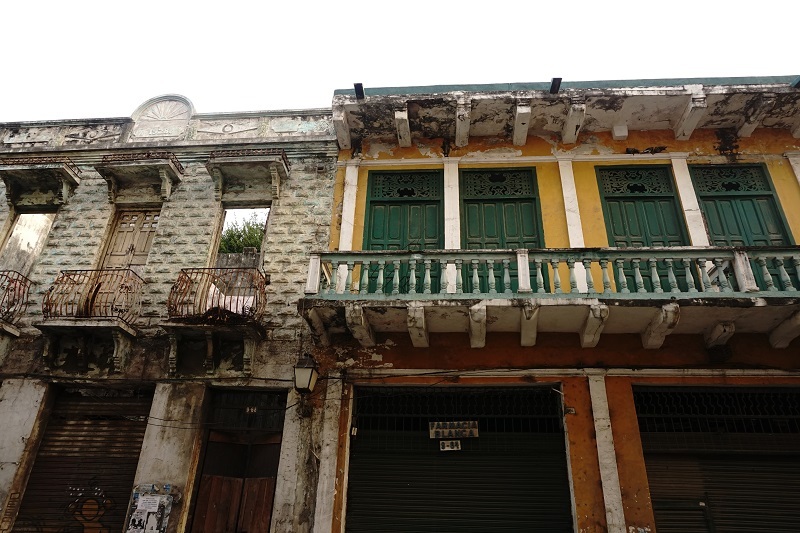 Every building within the city appears as they would have atleast two centuries ago. The city is listed in UNESCO Heritage as locals continue to live within the walls and lots of hotels and restaurants offer the Spanish experience to travelers. The houses are colorful and well maintained. The walls, doors, balconies and the windows are remarkable. The colours shining under the tropical sun were absolutely mesmerizing. On the first day, we ended up walking through most of the old city just photographing the houses. However, the beauty wasn’t limited to the houses. There are plenty of old buildings and churches around that enhance the beauty of this city. 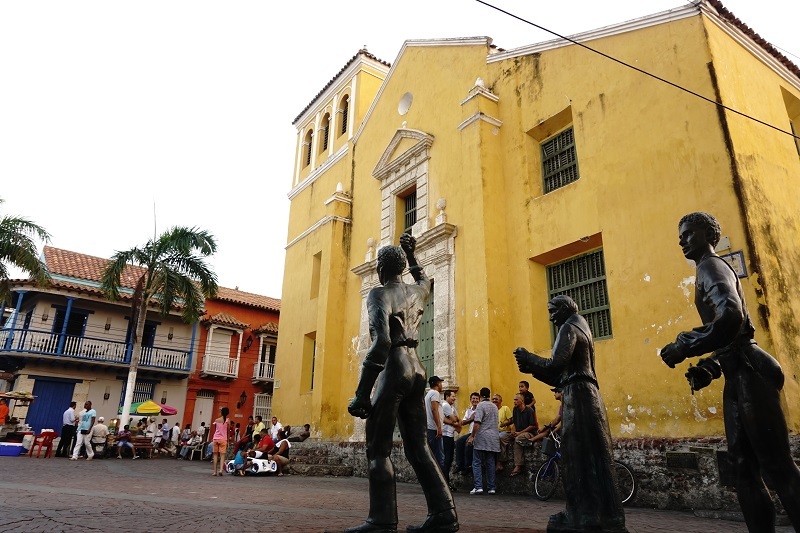 Cathedral of Cartagena in particular is quite high and painted with vibrant colours. Shruti was able to click it from various different parts of the city and each time its beauty was unlike the previous one. 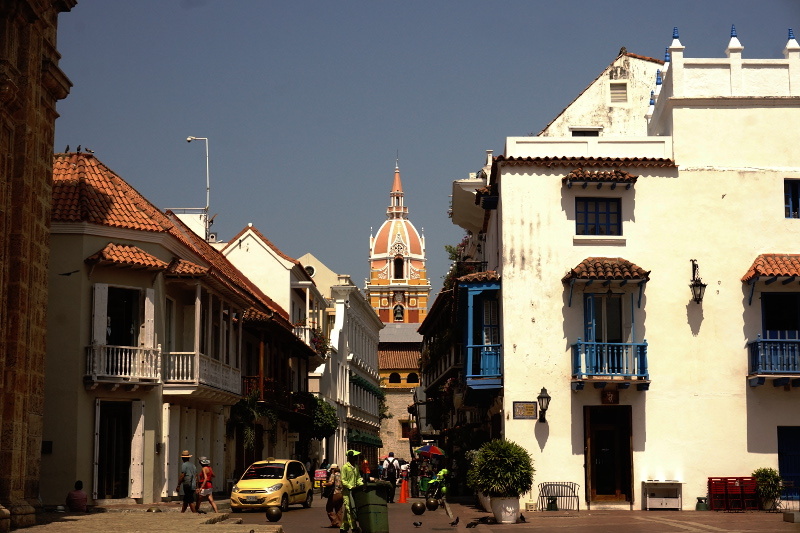 Not to forget, Cartagena has many squares around the old city which were all beautiful in their own way. However, The square of the Clock Tower, Plaza de la Reloj, was incredible as it had a monument, city walls, lots of people and traditional looking bars around. 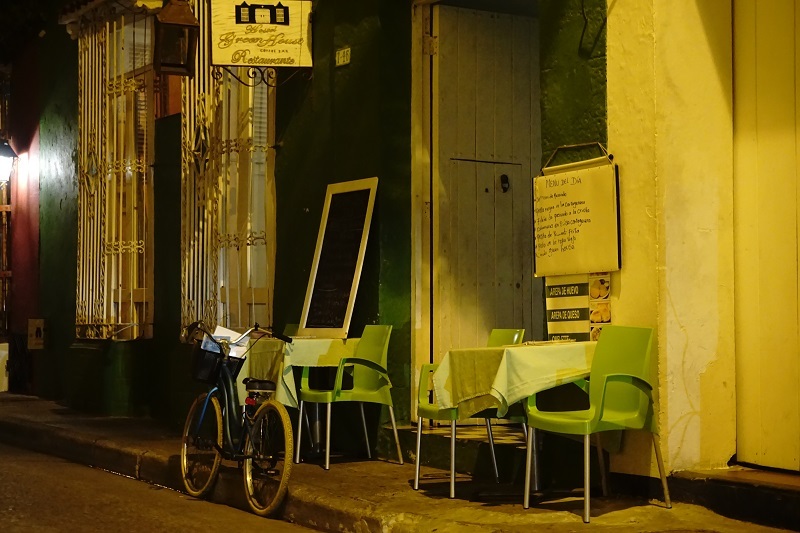 At night, one of the bars played Salsa music which just made the atmosphere better. 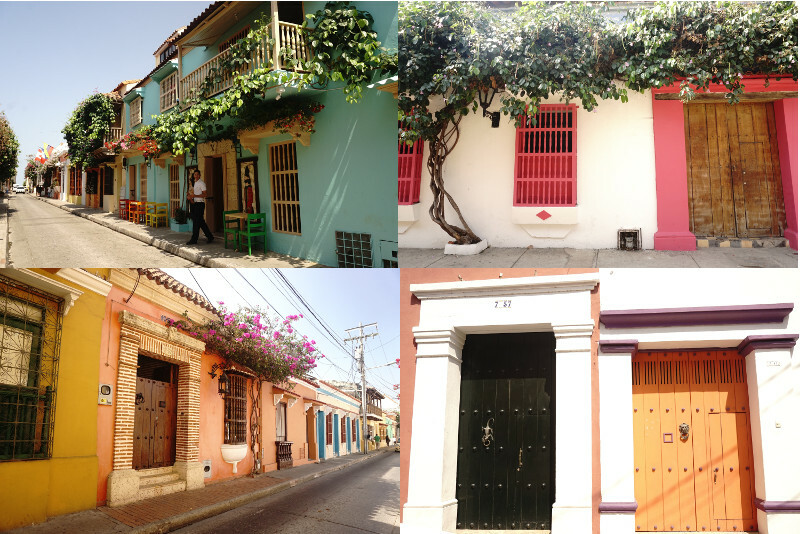 After spending just a day in Cartagena, we had walked almost every corner of the walled city and seen all the popular buildings. 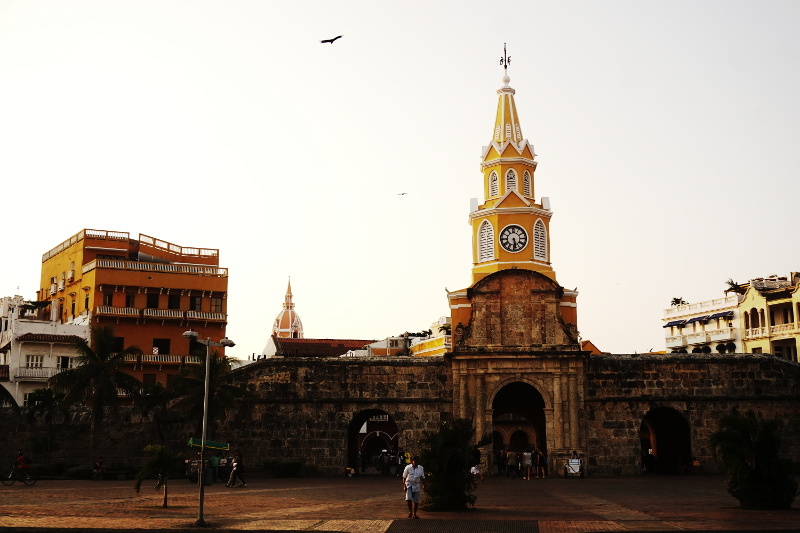 The only way we can explain this beautiful city – Cartagena is a small European town stuck in the heart of Colombia. 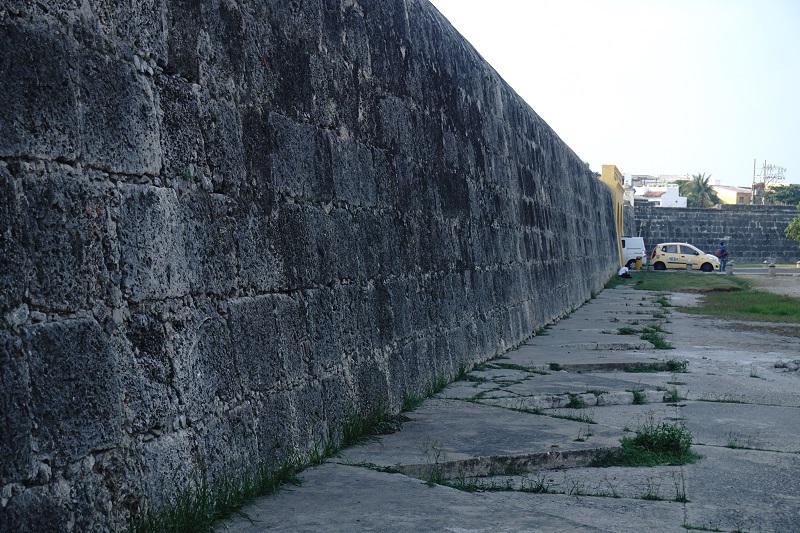 The wall around the city, which is more than 500 years old, is accessible to public. Everyone, locals and tourists, enjoy a nice long walk on it. We kept aside an evening just for this activity. We walked all around the city taking in the traffic, the sea, the horse rides and people going by. The wall enhances the beauty of the city as well as serves as a spot for people to enjoy the sunset and cool off in the evening. 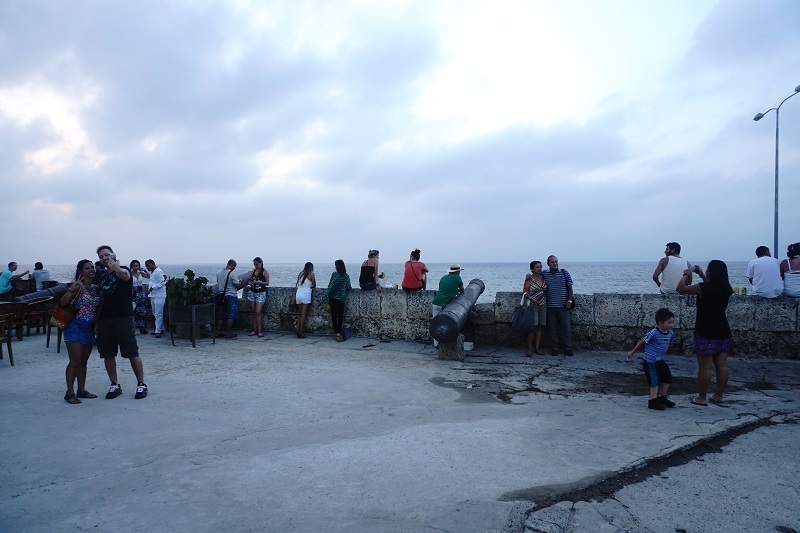 We had a drink at one of the sunset points along with hordes of tourists but it wasn’t meant to be. There was no visible sunset that day as there were clouds on the horizon. Getsmani is the old forgotten part of the old city which the backpackers and budget travelers have taken over. We only realised how well kept the houses were in the old city when we saw the houses in Getsmani. Though still beautiful, they were a little rough around the edges and needed maintenance. In any case, we were able to photograph some buildings while eating and drinking in the Church Square. 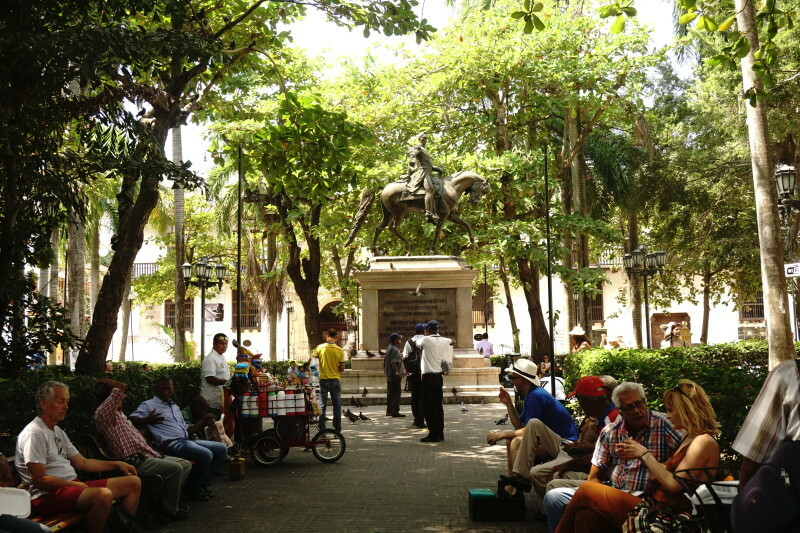 The Church Square was a meeting point where locals and tourists came together to eat street food and enjoy non-alcoholic drinks in public. This was probably the only square where alcohol wasn’t allowed and we think it was because od the presence of an active Church. 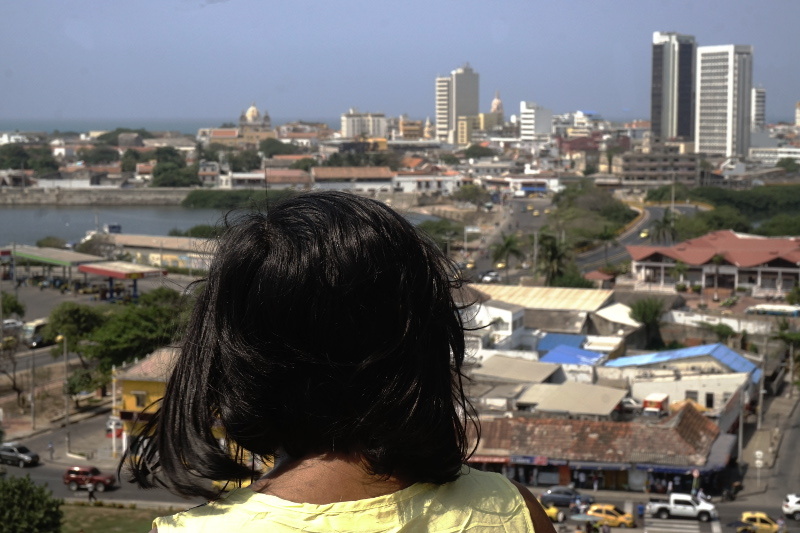 Cartagena has two seasons: hot & humid and rainy. For most of the year, its sunny and sticky. While this makes the buildings look amazing, it means that it is very hard to do anything between 1-4 while outdoors. Tourists stick to beaches, musuems or bars during this time. 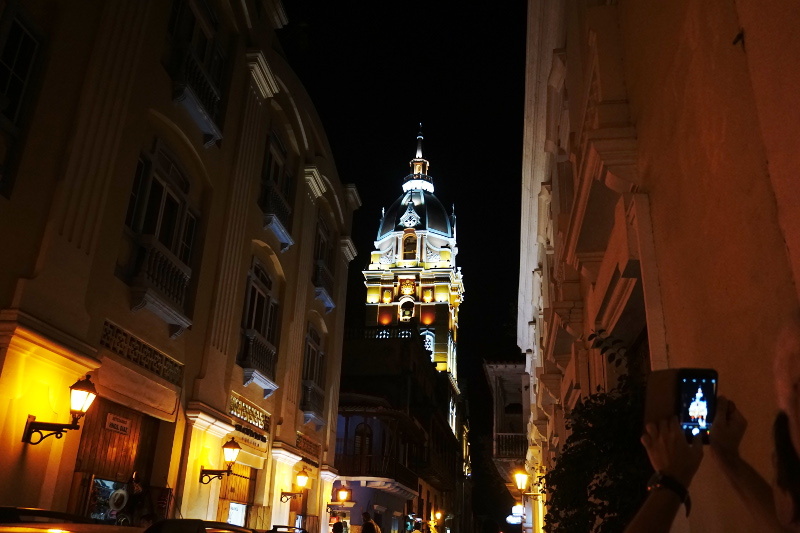 Most of Cartagena’s activities happen mostly in the evenings. 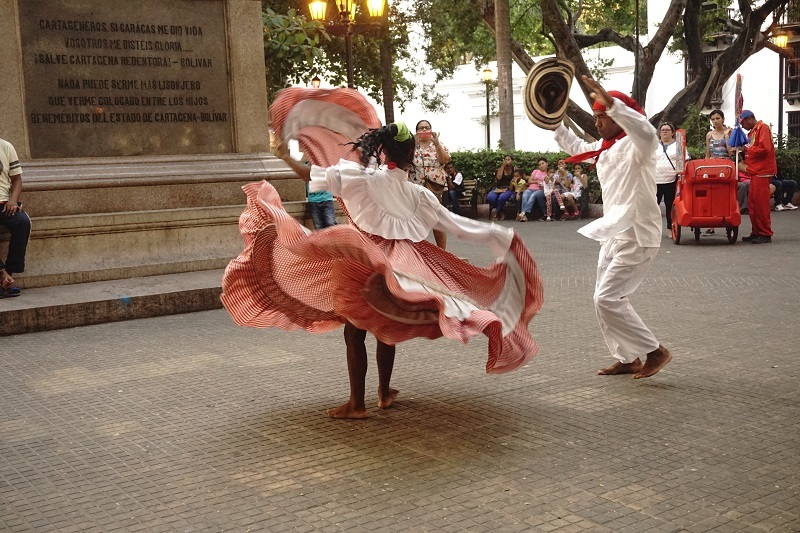 We saw a beautiful music and dance show of Afro-Colombians in the evening at Bolivar Square. The dancers in their unique dresses put on a energetic and sensual show and demonstrated 3 different types of traditional dances. As the sun goes down, all the restuarants and bars start to setup their outdoor seats. The musicians and performers come around showing off their talent and entertaining the people around. It truly has a very different vibe to anywhere else we have been till now. 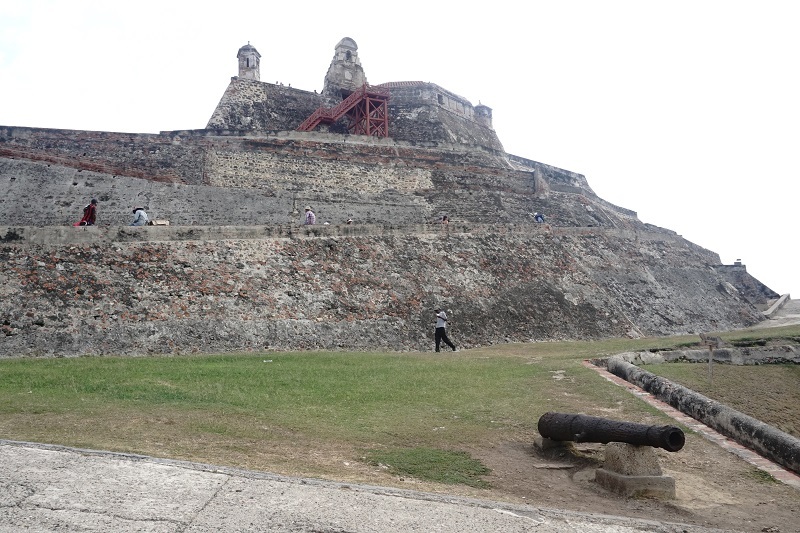 We visited this unique Castle while in Cartagena. If I had to describe it, the castle looked like a combination of squares and triangles with a flat top. The castle was quite high which provided some great shots of the old city and river. Moreover, The castle had a lots of tunnels to go from one part to another which made it one of the coolest castle we had seen so far. At the top was a huge Colombian flag flowing in the wind. It really is a beautiful sight seeing the old city in the backdrop of the flying Colombian flag. Cartagena is the biggest tourist site in Colombia. Period. 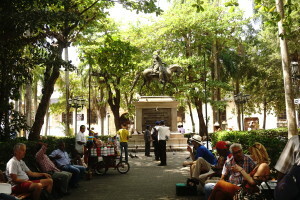 It is the starting point of many journeys across Colombia. While this keeps the city beautiful, it also brings in tourist traps. First of all, the hotel prices in and near the old city are comparable to mid-range western cities. While this may not be expensive for some, it is unaffordable for budget travelers and most Colombians. We lived a 20 minute bus ride from the centre and still paid 150,000 pesos (USD 50) for 3 nights. This will never happen in any other Colombian city. 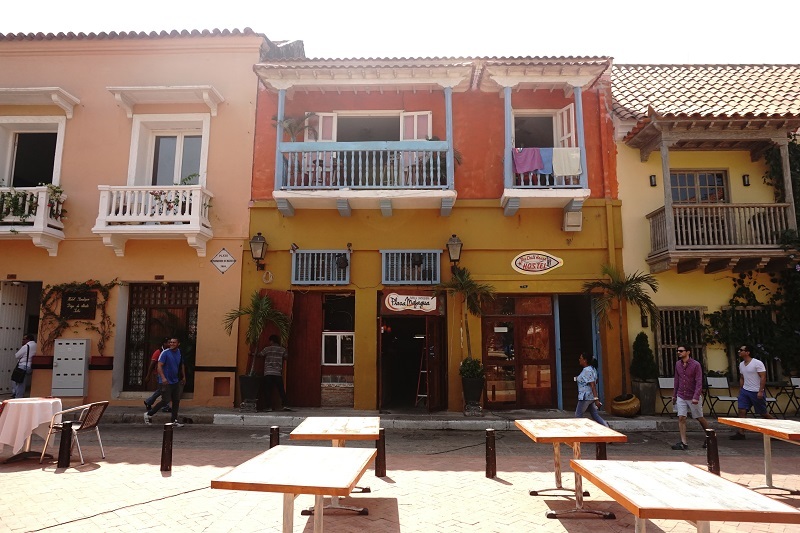 Second, due to the western tourism, the food and museum prices are also double to anywhere else in Colombia. We saw American tourists paying USD 20 at the San Phillipe Barajas which was double the rate in Colombian Pesos. We paid 17,000 pesos (USD 5.50) per head, which was easily double the general Colombian rate. Finally, in the evening lots of chariots come around ready to take people on a ride around the city. 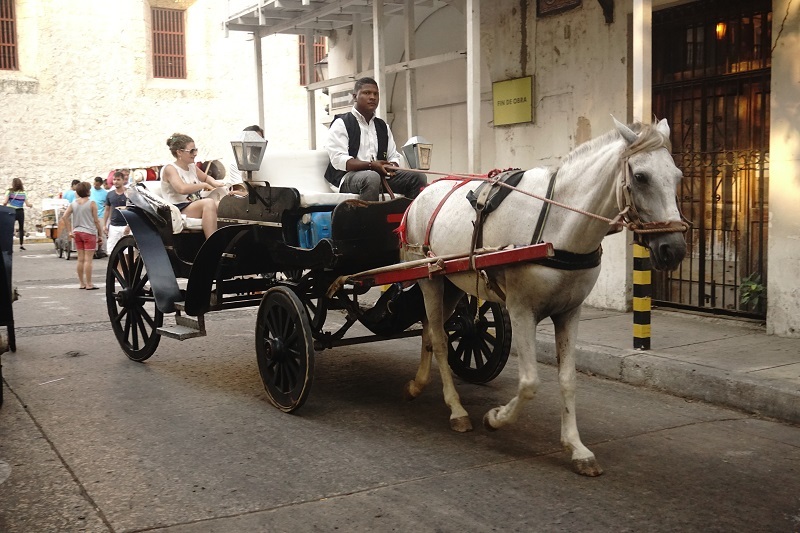 The romantic horse buggy ride through the old city could take up to 15 minutes or 30 minutes for 40,000 pesos or 60,000 pesos respectively. 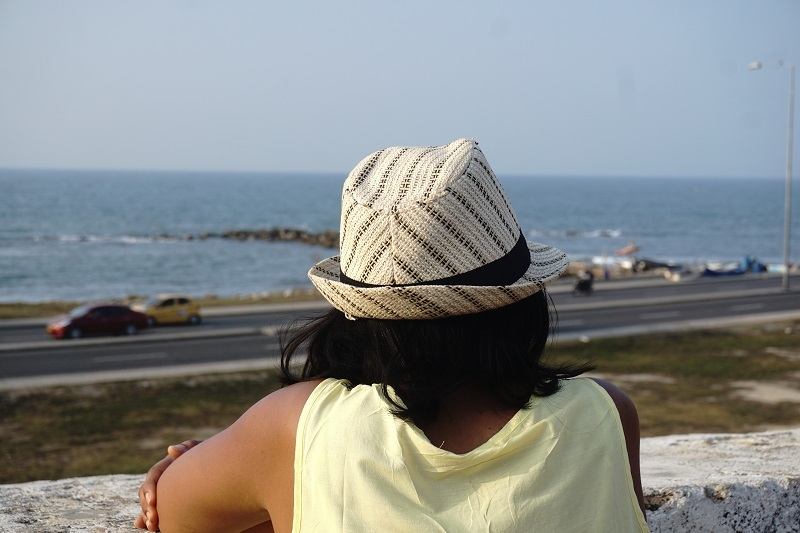 The point is simply that Cartagena is beautiful but expensive. So make sure you come with your pockets full and enjoy this city!